Why India is Seeing a Surge in Coworking? Coworking has grown sharply in India in the last few years. Many national and international companies have invested in these concepts along with local investors who are also trying to include this concept in their premises. This concept has now become the talk of the town with a lot of investors putting their trust in this to lead the next future of smart entrepreneurs and startups. Any professional, freelancer, experts, Entrepreneurs or company can use this space for their respective work based on time, space and events. So rather than opting to set their own offices and wasting a lot of time as well as money on maintaining these offices they have now gradually accepted the concept of Coworking in modern India. These offices have all the latest technologies, office accessories, recreational spaces, flexible layouts, personal desk, team desk, conference rooms, and many more facilities to give you a complete experience of office like environment. Interiors are built for higher work productivity and efficiency to bring out the best for using these spaces. India has shown immense opportunities in many fields where there is a lot of improvements is required. Vast population, modern education, change in lifestyle and long private working hours are the main factors of this paradigm. Many youngsters have gained professional experience by working in the topmost companies in the whole world and are looking to bring on their own style. Entrepreneurs are using new ideas and creativity to transform their ideas into reality. That requires constant research and precision in their workmanship. These Coworking Spaces are just the perfect combinations for these individuals who are looking to expand their horizon. With positive economic trends, high numbers of younger professionals with skills & experience have a lot of creativity and ideas they try to transform into the real world. These startups act as the platform for the next generation of future leaders who work hard to achieve their dreams in this competitive world. New ideas, smarter solutions and enhanced productivity are the factors that will drive the future recognition of Individual capabilities. Many experts and professionals who have rich experience have added their own creativity to bring forth latest and more advanced tools in the market. In the market, there is always a scope for improvement and these entrepreneurs use these Coworking Spaces in Noida to effective use. Here they can try out their various plans and ideas in a minimum budget for transforming their ideas into a corporate level. With a booming economy and rising real estate have made it tough for newcomers to get their brand running in the markets. Startups require a lot of financial backing and setting permanent office can leave them with a lot of burdens too. Whereas with this Coworking are easy to use and have all the right benefits for entrepreneurs to test out their business theories in the real market. Anyone with a suitable dream can hire the minimum space and then move up the ladder gradually as things started to get improve. So whether a newer concept is able to give the boost in the market that you were looking for is worth a try from these creative spaces to fulfil your dreams rather than risking all your investment on these projects. Any idea can be big if given the right platform and opportunity. These spaces are easily customised as per your personal or business organisation needs to satisfy you in every way. Small scale events, conference, exhibitions and many things are organised with pre-booking too. In India, a country of more than billion has accepted this creative way and going parallel with the developed world where this concept has remarkably has seen an unprecedented surge in the last few years. Coworking communities have been formed with people from different professions coming together to aid each other in leading a better lifestyle. There are new places where Coliving has been introduced with modern life taking its toll on long private working hours. And with a traditional Indian mindset of working 9 to 5 job this coworking allows new age professionals to work at their own freedom, timing, pricing and add more balance in their modern day life. 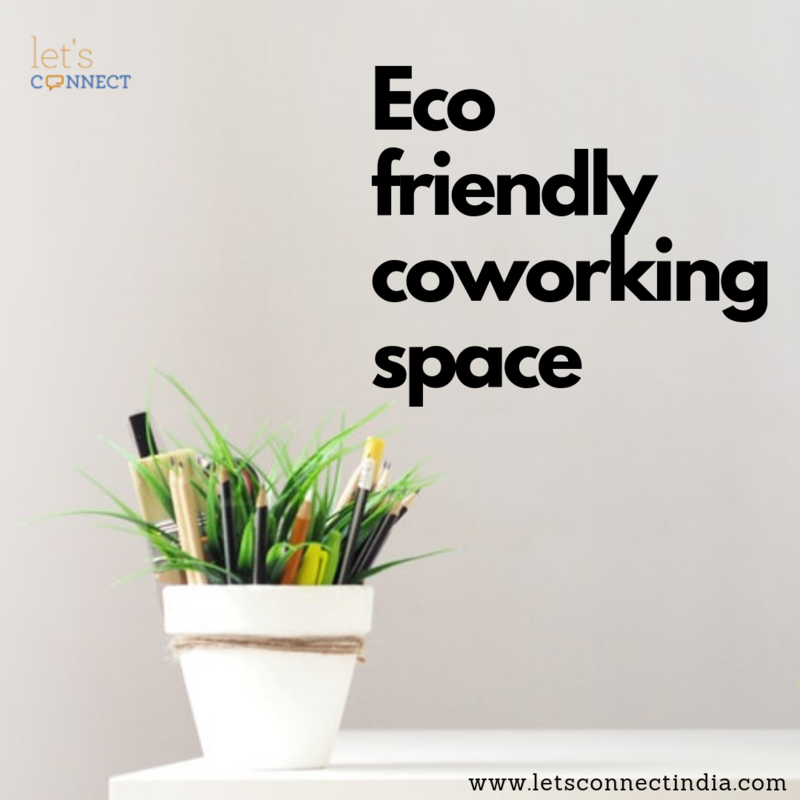 Let’s Connect India is one of the established company that offers their premium spaces for Coworking individual, entrepreneurs, MNC’s and for other commercial needs. Their Coworking space in Noida has shown a tremendous turnaround in the shortest time in one of the leading space for this trending concept in this city.